Monastic communities were first organized in Egypt at the beginning of the fourth century. St. Anthony introduced one form of community life the eremitical when, about the year A.D. 305, he undertook the direction and organization of the multitude of hermits who had gathered about him in the Thebaid; a second  the coenobitical, or conventual, type of monachism  was instituted by St. Pachomius, who, about the same time, founded his first coenobium, or conventual monastery, at Tabennae in the far south of Egypt. Both systems spread rapidly and were soon firmly established in Palestine, Syria, Mesopotamia, and Asia Minor. By the middle of the fourth century monachism had also made its appearance in Europe, and here, at the beginning of the sixth, St. Benedict of Nursia, gave it the definite form and constitution which ultimately assured its triumph in the West. Every group of hermits and every coenobium naturally had its superior. The title given him varied. In the East he was usually styled the elder, the senior, or also father of the monastery. In Asia Minor and among the Greeks generally he was called archimandrite (archos, a chief, and mandra, a fold, monastery) or hegumenos. Originally there seems to have been no appreciable difference in the signification of these two words, but after the period of Justinian the title archimandrite was jealously reserved for the superiors of the older or of the more important monasteries. Both names have, however, been permanently retained, and are to this day the titles given to monastic superiors in the Eastern Church. Cassian, who at the beginning of the fifth century had transplanted Egyptian monachism to Gaul, was addressed as Abbas, Pater, and Dominus; he himself termed the superior of the monastery Praepositus. The word praepositus, in the signification of a monastic ruler, appears also in Roman Africa and elsewhere in the West, but towards the close of the fifth century it had been almost entirely supplanted by the term abbas. St. Benedict, in his Rule, written about 529, assigned a subordinate position in the community to the praepositus, and restricted the use of the title abbas to the superior of the monastery. Through the Rule of the great Patriarch of Western Monachism the application of the title abbas was definitely fixed, and its use made general in the West. St. Benedict's conception of a monastic community was distinctly that of a spiritual family. Every individual monk was to be a son of that family, the, Abbot its father, and the monastery its permanent home. Upon the Abbot therefore, as upon the father of a family, devolves the government and direction of those who are committed to his care, and a paternal solicitude should characterize his rule. St. Benedict says that "an abbot who is worthy to have the charge of a monastery ought always to remember by what title he is called," and that "in the monastery he is considered to represent the person of Christ, seeing that he is called by His name" (Rule of St. Benedict, ii). The monastic system established by St. Benedict was based entirely upon the supremacy of the abbot. Though the Rule gives directions as to an abbot's government, and furnishes him with principles upon which to act, and binds him to carry out certain prescriptions as to consultation with others in difficult matters etc., the subject is told to obey without question or hesitation the decision of the superior. It is of course needless to say that this obedience did not extend to the commission of evil, even were any such command ever imposed (Gasquet, English Monastic Life, London, 1904, p. 42). The obedience shown to the Abbot is regarded as obedience paid to God Himself, and all the respect and reverence with which he is treated by the brethren of his house is paid him for Christ's love, because as abbot  father  he is the representative of Christ in the midst of the brethren. The whole government of a religious house depends upon the Abbot. His will is supreme in all things; yet, as the Rule says, nothing is to be taught, commanded, or ordered beyond the precepts of the Lord. All the officials who are to assist him in the government of the house, are appointed by him and have their authority from him. He may dismiss them at his discretion. The Abbot, by virtue of his office, administers the temporal possessions of the community, exercises a general supervision for the maintenance of monastic discipline, provides for the keeping of the Rule, punishes and, if need be, excommunicates the refractory, presides in choir during the recitation of the Office, and at Divine Service, and gives the blessings. In a word, uniting in his person the threefold office of father, teacher, and ruler, it is the duty of the Abbot to see that all things are administered wisely in the House of God. An Abbot canonically elected and confirmed, and exercising the duties of his office, is by the law of the Church styled a Regular Abbot. Regular Abbots are prelates in the full sense of the word, and their dignity is of three grades. An Abbot who presides only over such persons, ecclesiastical and lay, as are attached to his monastery, belongs to the lowest grade, and his jurisdiction carries with it what is called the simple passive exemption (exemptio passiva) from the authority of the diocesan bishop. If an Abbot's jurisdiction extends beyond the limits of his abbey, over the inhabitants  clergy and laity  of a certain district or territory which forms an integral part of a bishop's diocese, he belongs to the middle grade (praelatus quasi nullius dioecesis) and his exemption is termed active (exemptio activa). And when an Abbot has jurisdiction over the clergy and laity of a district or territory (comprising one or several cities and places) which forms no part whatever of any diocese, his abbey is styled vere nullius dioecesis (of no diocese) and, excepting a few rights only, for the exercise of which the ordo episcopalis is required, his authority is in all things equal to that of a bishop. This is the third and highest grade of the dignity. There are no abbeys vere nullius in the United States or in England. Among abbeys of this class in other countries may be mentioned: in Italy, the arch-abbey of Monte Cassino, founded by St. Benedict himself about 529; the abbey of Subiaco, of which the titular is always a cardinal; the abbey of St. Paul extra Muros (Rome); that of Monte Vergine near Avellino, founded by St. William of Vercelli in 1124; and the abbey of the Most Holy Trinity at Cava, dating back to 1011; in Switzerland, the abbey of Einsiedeln, founded about 934; in Hungary (Austria), the arch-abbey of St. Martin's, (Martinsberg), established A.D. 1001 by St. Stephen, King of Hungary; and in West Australia the abbey of New Norcia. All exempt abbeys, no matter what the canonical title or degree of their exemption, are under the immediate jurisdiction of the Holy See. The term exempt is, strictly speaking, not applied to an Abbot nullius, because his jurisdiction is entirely extraterritorial. Within the limits of his territory such an Abbot has, with few exceptions, the rights and privileges of a bishop, and assumes all a bishop's obligations. Abbots of the second grade, however, whose authority (though quasi-episcopal) is intra-territorial, cannot be considered ordinaries, nor can they lay any claim to the rights and privileges of bishops, excepting those, of course, which have been especially granted them by the Holy See. When the monasteries in which the same regular observance is followed, or the abbeys of the same province, district, or country form a congregation, i.e. a federation of houses to promote the general interest of the order, the presiding Abbot is styled the "Abbot President", or the "Abbot General." Thus, the Cassinese Congregation of the Primitive Observance has at its head an Abbot General; the English Congregation, the American-Cassinese, and the American-Swiss, have each an Abbot President. The authority of the Abbot President is defined in the statutes or constitution of each congregation. In the recent confederation of the Benedictine Order all the Black Monks of St. Benedict were united under the presidency of an "Abbot Primate" (Leo XIII, Summum semper, 12 July, 1893); but the unification, fraternal in its nature, brought no modification to the abbatial dignity, and the various congregations preserved their autonomy intact. The powers of the Abbot Primate are specified, and his position defined, in a Decree of the Sacred Congregation of Bishops and Regulars dated 16 September, 1893. The primacy is attached to the Abbey and International Benedictine College of St. Anselm, Rome, and the Primate, who takes precedence of all other Abbots, is empowered to pronounce on all doubtful matters of discipline, to settle difficulties arising between monasteries to hold a canonical visitation, if necessary, in any congregation of the order, and to exercise a general supervision for the regular observance of monastic discipline. Of late, however, certain branches of the Benedictine Order seem to have lost their original autonomy to some extent. The Reformed Cistercians of La Trappe, for instance, are by a Decree of Pope Leo XIII, 8 May, 1892, placed under the authority of an Abbot-General. The Abbot-General has full authority to pass decision upon all current affairs and difficulties. On account of the antiquity or the preeminence of the abbeys over which they preside, the honorary title of Arch-abbot is bestowed upon the superiors of certain monasteries. Monte Cassino, "the Cradle of Western Monachism", St. Martinsberg in Hungary, St. Martin's of Beuron, in Germany, and St. Vincent's, Pennsylvania, the first Benedictine foundation in America, are presided over by Arch-abbots. A further variety of Abbots-Regular are the "Titular Abbots." A Titular Abbot holds the title of an abbey which has been either destroyed or suppressed, but he exercises none of the functions of an Abbot, and has in actu no subjects belonging to the monastery whence he derives his title. The law of the Church recognizes also "Secular Abbots," i.e. clerics who, though not professed members of any monastic order, nevertheless possess an abbacy as an ecclesiastical benefice, with the title and some of the honours of the office. These benefices belonged originally to monastic houses, but on the suppression of the abbeys the benefice and the title were transferred to other churches. There are various classes of Secular Abbots; some have both jurisdiction and the right to use the pontifical insignia; others have only the abbatical dignity without either jurisdiction or the right to pontificalia; while yet another class holds in certain cathedral churches the first dignity and the privilege of precedence in choir and in assemblies, by reason of some suppressed or destroyed conventual church now become the cathedral. In the early Middle Ages the title Abbot was borne not only by the superiors of religious houses, but also by a number of persons, ecclesiastical and lay, who had no connection whatever with the monastic system. St. Gregory of Tours, for instance, employed it in his day to designate the principal of a body of secular clergy attached to certain churches; and later, under the Merovingians and Carlovingians, it was applied to the chaplain of the royal household, Abbas Palatinus, and to the military chaplain of the king, Abbas Castrenisis. From the time of Charles Martel onward to the eleventh century it came to be adopted even by laymen, the Abbacomites, or Abbates Milites, mostly nobles dependent on the court, or old officers, to whom the sovereign would assign a portion of the revenues of some monastery as a reward for military service. "Commendatory Abbots" (secular ecclesiastics who held an abbacy not in titulo, but in commendam) had their origin in the system of commendation prevalent during the eighth and succeeding centuries. They were in the first instance merely temporary trustees, appointed to administer the estates of an abbey during a vacancy; but in the course of time they retained the office for life, and claimed a portion of the revenues for their maintenance. The practice of nominating Commendatory Abbots eventually led to serious abuses; it was greatly checked by the Council of Trent, and has in modern times entirely disappeared from the Church. In the early days of monastic institutions the founder of a religious house was usually its first superior; in every other instance the Abbot was appointed or elected. Some Abbots indeed selected their own successors, but the cases were exceptional. In many places, when a vacancy occurred, the bishop of the diocese would choose a superior from among the monks of the convent, but it appears that from the very beginning the appointment of an Abbot rested generally with the monks themselves. St. Benedict ordained (Rule, lxiv) that the Abbot should be chosen "by the general consent of the whole community, or of a small part of the community, provided its choice were made with greater wisdom and discretion." The bishop of the diocese, the Abbots and Christian men of the neighbourhood were called upon to oppose the election of an unworthy man. Every religious house professing his Rule adopted the method prescribed by the great monastic legislator, and in the course of time the right of the monks to elect their own Abbot came to be generally recognized, particularly so when it had been solemnly confirmed by the canons of the Church see Thomassin, Vetus et Nova Eccl. Disciplina, Pt. I, III, c. xxxii, no. 6). But during the Middle Ages, when monasteries had grown wealthy and powerful, kings and princes gradually encroached on the rights of the monks, until in most countries the sovereign had wholly usurped the power of nominating abbots for many of the greater houses in his realm. This interference of the court in the affairs of the cloister was in the process of time the source of many evils and the occasion of grave disorders, while in its effect on monastic discipline it was uniformly disastrous. The rights of the cloister were finally restored by the Council of Trent. According to the present legislation, the Abbot is elected for life by the secret suffrages of the community's professed members in sacris. To be eligible he must have all the qualifications required by the canons of the Church. It is furthermore necessary that he should be a priest, a professed member of the order, of legitimate birth, and at least twenty-five years of age. The election, to be valid, must be held in the manner prescribed by the common law of the Church (cf. Quia propter.  De elect., I, 6; and Cone. Trid., sess. XXV, c. vi, De reg. ), and as determined in the statutes or constitutions of each congregation. In the English and American congregations the Abbot of a monastery is elected for life by a two-thirds vote of the professed members in sacris of the chapter. The Abbots themselves elect the abbot president. Exempt abbeys under the immediate jurisdiction of the Pope must, within the space of a month, apply to the Holy See for a confirmation of the election; non-exempt houses, within three months, to the bishop of the diocese. The confirmation confers upon the Abbot-elect the jus in re, and having obtained it he enters at once upon the duties and privileges of his office. A canonical perpetuity attaches to the abbatial dignity; semel abbas, semper abbas; and even after a resignation the dignity endures, and the title is retained. Benedictine abbeys in the United States and in England enjoy exemption; for America, the newly-elected Abbots are confirmed directly by the Pope; in England, however, according to the recent Constitution, "Diu quidem est" (1899), they are confirmed by the Abbot President in the name of the Holy See. After his ecclesiastical confirmation, the newly elected Abbot is solemnly blessed according to the rite prescribed in the "Pontificale Romanum" (De benedictione Abbatis). By the Constitution of Benedict XIII, Commissi Nobis, 6 May, 1725, all Regular Abbots elected for life are now obliged to receive this blessing (or, at least, to thrice formally request it) within the space of a year, from the bishop of the diocese; if they fail to have the ceremony performed within the required time, they incur ipso jure a suspension from office for the period of one year. Should the petition be refused for the third time, either by the diocesan or the metropolitan, an Abbot is free to receive benediction from any bishop in communion with Rome. The Constitution at the same time expressly declares that the Abbot-elect may licitly and validly perform all the duties of his office during the interval preceding his solemn benediction. It must be noted, however, that the legislation enforced by Benedict XIII does not affect those Abbots who are privileged to receive the blessing from their regular superiors, nor those who by their election and confirmation are ipso facto regarded as blessed by the Pope. The blessing is not in se essential for the exercise of an Abbot's order and office; it confers no additional jurisdiction, and imparts no sacramental grace or character. An Abbot nullius may call upon any bishop in union with the Holy See to bestow the abbatial blessing. By the recent Constitution of Leo XIII, "Diu quidem est." 1899, the Abbots of the English Congregation are bound within six months of their election to present themselves to the ordinary of the diocese to be blessed by Apostolical authority; and, if the diocesan be prevented, they can receive the blessing from any Catholic bishop. The ceremony, which in solemnity differs but slightly from that of a bishop's consecration, takes place during the Holy Sacrifice of the Mass, after the Epistle. The essentials of the episcopal order are of course omitted, but before his benediction the Abbot takes the oath of allegiance to the Holy See and, like the bishop, is subjected to a canonical examination. He receives the insignia of his office  the mitre, crosier, ring, etc.  from the hands of the officiating prelate, and at the Offertory presents to him two small casks of wine, two loaves of bread, and two large wax tapers; he says the Mass with the bishop and receives Holy Communion from him. During the singing of the Te Deum the newly blessed Abbot, with mitre and crosier, is conducted through the nave of the church by the two assistant Abbots, and blesses the people. Upon his returning to his seat in the sanctuary (if in his own church), the monks of the community come, one by one, and, kneeling before their new superior, pay him their homage, and receive from him the kiss of peace. The ceremony is concluded by a solemn blessing bestowed by the newly installed Abbot standing at the High Altar. According to the Pontificale Romanum, the day set apart for the function ought to be a Sunday or a feast day. The solemn rite of benediction, once conferred, need not be again received when an Abbot is translated from one monastery to another. The authority of an Abbot is of two; kinds, one relating to the external government of the house, the other to the spiritual government of his subjects. The first is a paternal or domestic authority, based on the nature of religious life and on the vow of obedience, the second a power of quasi-episcopal jurisdiction, by virtue of which he is truly a prelate. His domestic authority empowers the Abbot to administer the property of the abbey, to maintain the discipline of the house, to compel the religious, even by penalties, to observe the Rule and the Constitutions of the Order, and to ordain whatever else may be essential for the preservation of peace and order in the community. The power of jurisdiction which the Abbot possesses, both in foro interno and in foro externo, authorizes him to absolve his subjects from all cases of conscience not specially reserved, and to delegate this power to the priests of his monastery; to reserve to himself the eleven cases enumerated in the Constitution of Clement VIII, "Ad futuram rei memoriam"; to inflict ecclesiastical censures; and to dispense the members of his house in certain cases for which a dispensation is usually obtained from the bishop of the diocese. He cannot, of course, dispense a religious from the vows of poverty, chastity, and obedience. 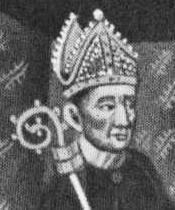 abbots formed the bulk of the spiritual peerage. The position held by them throughout every part of the country gave yet a further weight to their great position as noblemen and local magnates. As such they went pari passu with baron or earl of the noblest lineage. On the blazoned Roll of the Lords, the Lord Richard Whiting and the Lord Hugh Farringdon (Abbots of Glastonbury and of Reading) went hand in hand with a Howard and a Talbot [Gasquet, Henry VIII and the English Monast. (London, 1888), I, 25]. In France, Spain, Italy, and Hungary their power and influence were equally great, and continued so generally up to the time of the Council of Trent. All regular Abbots have the right to give the tonsure and to confer minor orders on the professed members of their house. As early as 787 the Second Council of Nicaea permitted Abbots (provided they were priests, and had received the solemn rite of benediction) to give the tonsure and to advance their monks to the order of lector (Thomassin, Pt., I. c., I. iii, c. xvii, no. 3). The privilege granted by this Council was gradually extended until it embraced all the minor orders, and in the course of time Abbots were authorized to confer them not only on their regular but also on their secular subjects [Wernz, Jus Decretalium (Rome, 1899) ii, 47, note]. The Council of Trent, however, decreed that "it shall not henceforth be lawful for abbots, . . . howsoever exempted, . . . to confer the tonsure and minor orders on any but their regular subjects, nor shall the said abbots grant letters dimissory to any secular clerics to be ordained by others" [Can. et Decret. Conc. Trid. (ed. Richter et Schulte), p. 197]. From this decree of the Council it is quite clear that Abbots still have the right to confer the tonsure and minor orders, but it is equally clear that they may confer them lawfully only on their regular subjects. Novices, therefore, oblates, regulars of another order or congregation, and seculars cannot be advanced by the Abbot. Even the Abbots styled vere nullius, who exercise an episcopal jurisdiction in their territory, may not without a special privilege give minor orders to their secular subjects [Santi, Praelect. Jur. Can. (New York, 1898), I, 125 sq., and Can. et Decret. Cone. Trid. (ed. Richter et Schulte), 197 sq., where also the decisions of the Sacred Cong. of the Council on this subject may be found]. On the question of the validity of orders conferred by an Abbot who goes beyond the limits of the faculties extended by the Holy See, canonists disagree. Some pronounce such orders absolutely invalid, others maintain that they are illicitly conferred but nevertheless valid. The opinion of the latter seems to be sustained by various decisions of the Sacred Cong. of the Council (Santi, op. cit., p. 128 sq. ; cf. Benedict XIV, De Syn. Dioec. II, c. xi, no. 13). It is a much-disputed question whether Abbots have ever been permitted to confer the subdiaconate and the diaconate. Many canonists hold that the subdiaconate, being of merely ecclesiastical institution, was formerly amounted one of the minor orders of the Church, and infer that before the time of Urban II (1099), Abbots could have given that order. But the further claim that Abbots have also conferred the diaconate cannot, apparently, be sustained, for the Bull of Innocent VIII, "Exposcit tuae devotionis" (9 April, 1489), in which this privilege is said to have been granted to certain Cistercian Abbots, makes no reference whatever to the diaconate  "Factâ inspectione in Archivis (Vaticani) . . . bulla quidem ibidem est reperta, sed mentio de diaconatu in eâdem deest." [See Gasparri, Tract. can. de S. Ordinatione, II, n. 798; cf. also P. Pie de Langogne, "Bulle d'Innocent VIII aux abbés de Cîteaux pour les ordinations in sacris" (Etudes franciscaines, fév., 1901, 129 sq.)] Pauhölzl, in "Studien und Mittheil. aus dem Benedictiner und Cistercienser-Orden", 1884, I, 441 sq. gives the Bull and defends its authenticity. By the law of the Church Abbots may grant letters dimissorial to their regular subjects, authorizing and recommending them for ordination, but they cannot give dimissorials to seculars without incurring suspension. Abbots are furthermore privileged to dedicate their abbey church and the cemetery of the monastery, and authorized to reconcile them in case of desecration. They can bless church vestments, altar linens, ciboria, monstrances, etc., for their own subjects, and consecrate altars and chalices for their own churches. As prelates, they hold the rank immediately after the bishops, being preceded only by the protonotarii participantes (see CURIA ROMANA), and by the vicar-general in his diocese. It may be added that the Abbots nullius dioecesis are preconized by the Pope in a public consistory, and that, within the territory over which they exercise jurisdiction, their name, like that of a diocesan, is inserted in the canon of the Mass. The use of the pontifical insignia  mitre, crosier, pectoral cross, ring, gloves, and sandals  which Abbots commonly have, is one of their most ancient privileges. It cannot be definitely ascertained when the privilege was first granted, but as early as 643 the Abbey of Bobbio in Italy is said to have obtained a constitution from Pope Theodore confirming a grant made to the Abbot by Honorius I. 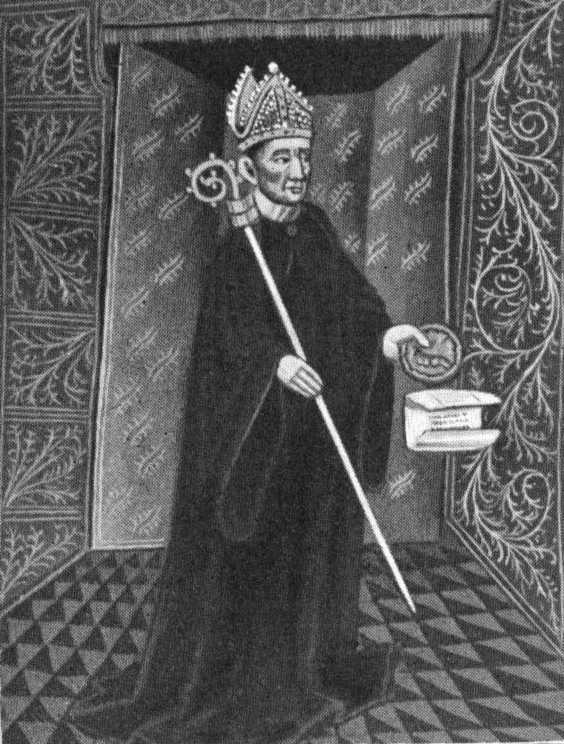 In England the pontifical insignia were assigned first to the Abbot of St. Augustine's, Canterbury, in 1063 and nearly a hundred years later to the Abbot of St. Alban's. The privilege was gradually extended to other abbeys until, at the close of the Middle Ages, every monastic house of importance in Europe was presided over by a mitred Abbot. The rights of Abbots to pontificalia are now regulated by the Decree of Pope Alexander VII (S. Cong. of Rites, 27 September, 1659). By the terms of this decree the days on which an Abbot is permitted to pontificate are limited to three days in the year. The use of the seventh candle, customary at a solemn pontifical Mass, is forbidden. The Abbot's mitre is to be made of less costly material than a bishop's, and the pastoral staff is to be used with a white pendant veil. The Abbot is not to have a permanent throne in his monastic church, but is allowed, only when celebrating pontifically, to have a movable throne on two steps and a simple canopy. He has also the privilege of using mitre and crosier whenever the ritual functions require them. As a mark of special distinction, some Abbots are permitted by the Holy See to use the cappa magna, and all abbots nullius may wear a violet biretta and zucchetto. "A recent decree of the S.C.R. (13 June, 1902) has regulated in accordance with former legislation the rights of the abbots of the English Congregation to pontificalia. According to this decree the English abbots can celebrate pontifically not only in their own abbatial churches, but also without the leave of the diocesan bishop in all other churches served by their monks with cure of souls. They can also give leave to other abbots of their Congregation to pontificate in their churches. They can use the prelatical dress i.e. rochet, mozzetta and mantelletta outside their own churches" [Taunton, The Law of the Church (London, 1906), p. 3]. The Abbots of the American-Cassinese and of the American-Swiss Congregations have the same privileges. Ecclesiastical councils were attended by Abbots at a very early period. Thus, in 448, twenty-three archimandrites or Abbots assisted at that held by Flavian, the Patriarch of Constantinople, and with thirty bishops signed the condemnation of Eutyches. In France under the Merovingian kings, they frequently appeared at ecclesiastical synods as the delegates of bishops, while in Saxon England and in Spain the presence of monastic superiors at the councils of the Church was nothing uncommon. Their attendance did not, however, become a general practice in the West until after the Eighth Council of Toledo (653) where ten Abbots had been present, and had subscribed to the decrees by virtue of their pastoral charge. From the eighth century onward Abbots had a voice also in the œcumenical councils of the Church. It must be remarked that in later centuries Abbots were invited to assist at such councils and were permitted to give a decisive vote, mainly because they too, like the bishops, exercised a power of jurisdiction in the Church of God. In this connection Pope Benedict XIV says: "Item sciendum est quod quando in Conciliis generalibus soli episcopi habebant vocem definitivam, hoc fuit quia habebant administrationem populi . . . Postea additi fuere Abbates eâdem de causâ, et quia habebant administrationem subjectorum (De Syn. dioec. XIII, c. ii, no. 5). A newly appointed Abbot, before he receives the solemn benediction at the hands of the bishop takes an oath that he will discharge faithfully all the duties of his office, specifying among others that of attending councils: "Vocatus ad synodum, veniam, nisi praepeditus fuero canonica praepeditione" (Pontif. Rom., De Benedictione Abbatis). In the performance of this duty the Abbot must be guided by the regulations of the sacred canons. According to the present practice of the Church all Abbots nullius dioecesis, or with quasi-episcopal jurisdiction, have a right to assist at œcumenical councils. They have moreover, the right of a decisive vote, and may subscribe to the decrees. The Abbots-President of congregations and the abbots-general of an entire order are also present and cast a decisive vote, though only by virtue of privilege. Other classes of Abbots were not admitted to the Vatican Council in 1870. In provincial synods and in plenary or national councils the Abbots nullius have de jure a decisive vote, and sign the decrees after the bishops. Attendance at these synods is for them not merely a right, but also an obligation. By the terms of the Council of Trent (Sess. XXIV, De ref., c. ii) they are obliged, "like the bishops who are not subject to any archbishop, to make choice of some neighbouring metropolitan, at whose synods they shall be bound to appear," and they are further directed "to observe and to cause to be observed whatsoever shall be therein ordained." Though other Abbots must not be called de jure to provincial or to national councils, it is yet the custom, in most countries, to invite also the mitred Abbots who have actual jurisdiction only over their monasteries. Thus, at the Second Plenary Council of Baltimore (1866) both the Abbot of the Cistercians and the Abbot-President of the American-Cassinese Benedictines were present, and signed the decrees. At the Third Plenary Council of Baltimore (1884) six mitred Abbots assisted, two of whom, the Abbots-President of the American-Cassinese and of the American-Swiss Congregations of Benedictines, exercised the right of a decisive vote, while the other four had only a consultative voice and subscribed to the decrees merely as assenting, not as defining. And this is the practice of the Church generally. Exempt Abbots have no obligation to attend diocesan synods. The Black Monks of St. Benedict have at present seven Abbots nullius dioecesis, located as follows: Italy, 4; Switzerland, 1; Hungary, 1; and West Australia, 1; 86 Abbots exercising actual jurisdiction over their monasteries: Austria, 19; United States, 14; France, 9 (before the Law of Associations); Italy, 9; Germany, 7; England, 6; Hungary, 5; Switzerland, 4; Brazil, S.A., 3; Holland, 3; Spain, 3; Belgium, 2; Scotland l; West Australia 1. They have also nine titular, and three resigned Abbots. The Cistercian Abbots of the Three Observances number fifty-seven. Of these the Cistercians of the Common and of the Lesser Observance have nineteen: Italy, 3; Belgium, 2; Austro-Hungarian Province, 8; and the Swiss-German Congregation 3. The Congregation of Sénanque, to which the three Abbots of the Lesser Observance belong, is now dispersed by the Associations Law of France. The Cistercians of the Strict Observance (Trappists) have thirty-eight: France, 18 (not expelled); Belgium, 4; Italy, 3; United States, Austria, and Ireland, two each; Canada, China, England, Germany, Holland, and Spain, one each. The Cistercians have also two Abbots nullius dioecesis. In Italy, the Camaldolese, Vallombrosans, Silvestrines, and Olivetans, all branches of the Benedictine Order, have each a small number of Abbots. Monte Oliveto Maggiore, belonging to the Olivetans, is an abbey nullius dioecesis. Some few houses of the various Congregations of Canons Regular, of the Antonians, of the Armenian Benedictines, and of the Basilians, are also under the direction of Abbots. Mitred Abbots in the United States are the Abbots of St. Vincent's Arch-Abbey, Beatty, Pennsylvania; St. John's Abbey, Collegeville, Minnesota; St. Benedict's Abbey, Atchison, Kansas; St. Mary's Abbey, Newark, New Jersey; Maryhelp Abbey, Belmont, North Carolina; St. Bernard's Abbey, St. Bernard, Alabama; St. Procopius's Abbey, Chicago, Illinois; St. Leo's Abbey, St. Leo, Florida; St. Meinrad's Abbey, St. Meinrad, Indiana; Immaculate Conception Abbey, Conception, Missouri; New Subiaco Abbey, Spielerville, Arkansas; St. Joseph's Abbey, Covington, Louisiana; St. Mary's Abbey, Richardton, North Dakota; St. Benedict's Abbey, Mount Angel, Oregon; Gethsemani Abbey, Kentucky; New Melleray Abbey, near Dubuque, Iowa; and the Sacred Heart Abbey, Oklahoma. Mitred Abbots in England are the Titular Abbot of Reading, the Abbot of St. Gregory's Abbey, Downside, Bath; St. Lawrence's Abbey, Ampleforth, York; St. Edmund's Abbey of Douay, Woolhampton, Reading; St. Augustine's Abbey, Ramsgate; St. Thomas's Abbey, Erdington, Birmingham; Buckfast Abbey, Buckfastleigh, Devon; St. Michael's Abbey, Farnborough (Benedictines of Solesmes) Abbey of St. Pierre, Appuldurcombe, Isle of Wight (Benedictines of Solesmes); St. Bernard's Abbey, Coalville, near Leicester (Cistercian), The Canons Regular of the Lateran, Spettisbury, Dorsetshire. In Scotland; St. Benedict's Abbey, Fort Augustus, Inverness. In Ireland: Mt. Melleray Abbey, Cappoquin, Mt. St. Joseph's Abbey, Roscrea, Tipperary. In West Australia: Holy Trinity Abbey, New Norcia (nullius dioecesis). In Canada: Abbey of Notre Dame du Lac, Lac des Deux Montagnes. Rule of St. Benedict in P.L., LXVI, 933 sq. (ed. SCHMIDT, Ratisbon, 1880; 2d ed., ibid., 1893); GASQUET, English Monastic Life (London, 1904); TAUNTON, the English Black Monks of St. Benedict (London, 1898); IDEM, The Law of the Church (St. Louis, 1906); DIGBY, Mores Catholici; The Ages of Faith (London, 1845 reprint, New York, 1906 Bk. X, vol. III); MONTALEMBERT, The Monks of the West from St. Benedict to St. Bernard (ed. GASQUET, New York 1896); DOYLE, The Teaching of St. Benedict (London, 1887); DUGDALE, Monasticon (London, 1817); MABILLON, Annales Ordinis S. Benedicti (Lucca, 1739), I, ii; THOMASSIN, Vetus et Nova Eccl. Discipl. (Mainz, 1787); MARTÈNE, De Antiq. Eccl. Ritibus (Bassano, 1788), II; DU CANGE, Gloss. Med. et Infim. Latinit., s.v. Abbas; FERRARIS, Prompta Bibl. Can. (Rome, 1885); TAMBURINI, De Jure et Privileg. Abbat. Praelat. (Cologne, 1691); FAGNANI, Jus Canon., s. Commentaria in V Libros Decretalium (ibid., 1704); LUCIDI, De Visitatione Sacrorum Liminum (Rome, 1878); BESSE, Les moines d'orient (Paris, 1900); CHAMARD, Abbés au moyen âge, in Rev. des questions historiques (1885), XXXVIII, 71-108; BESSE, in Dict. d'archéol. chrét. (Paris, 1903); LANGOGNE, in Dict. de théol. cath., s.v. Abbés (Paris, 1905); SÄGMÜLLER, Lehrb. des kathol. Kirchenrechts (Freiburg, 1905); HERGENRÖTHER-HOLWECK, Lehrb. des kathol. Kirchenrechts (ibid. 1905); HEUSER in Kirchenlex., s.v. Abt (2d ed., ibid., 1882). For an extensive bibliography, see SCHERER, Handbuch des Kirchenrechts (Gratz, 1886), II, 729 sq. 753. MLA citation. Oestereich, Thomas. "Abbot." The Catholic Encyclopedia. Vol. 1. New York: Robert Appleton Company, 1907. <http://www.newadvent.org/cathen/01015c.htm>.